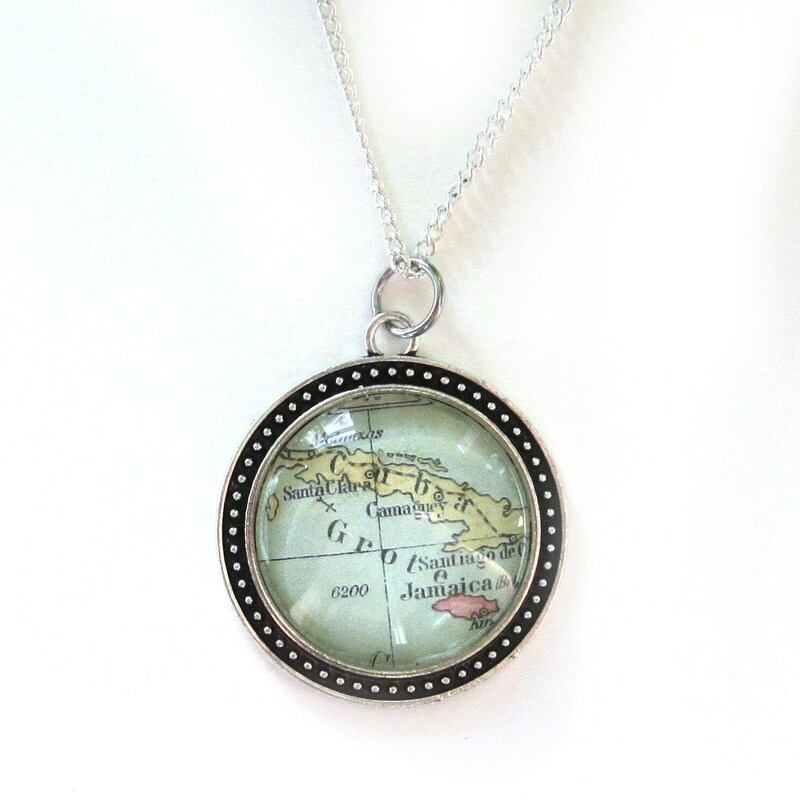 This beautiful necklace features antiqued world map images. 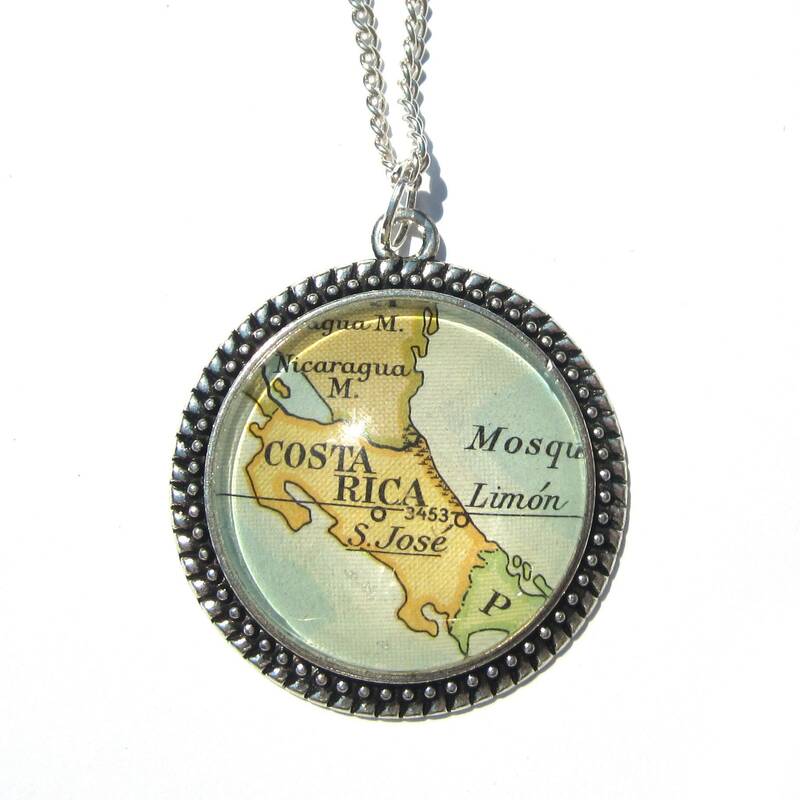 In this particular collection, you have several designs/locations/maps of central america to choose from. It is nickel and lead free, suitable for sensitive skin. 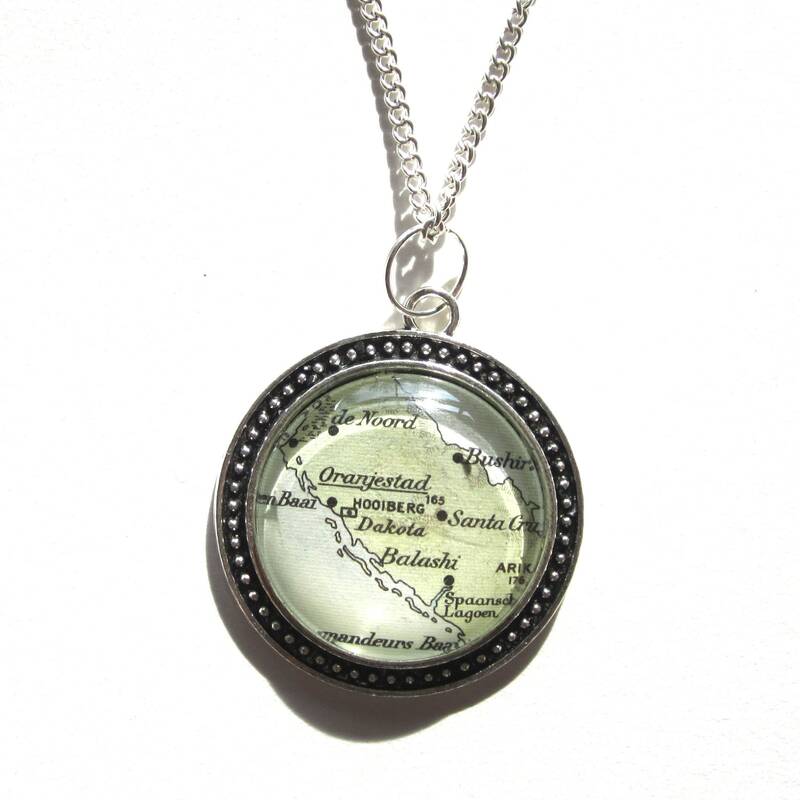 CREATE YOUR OWN PERSONALIZED NECKLACE! 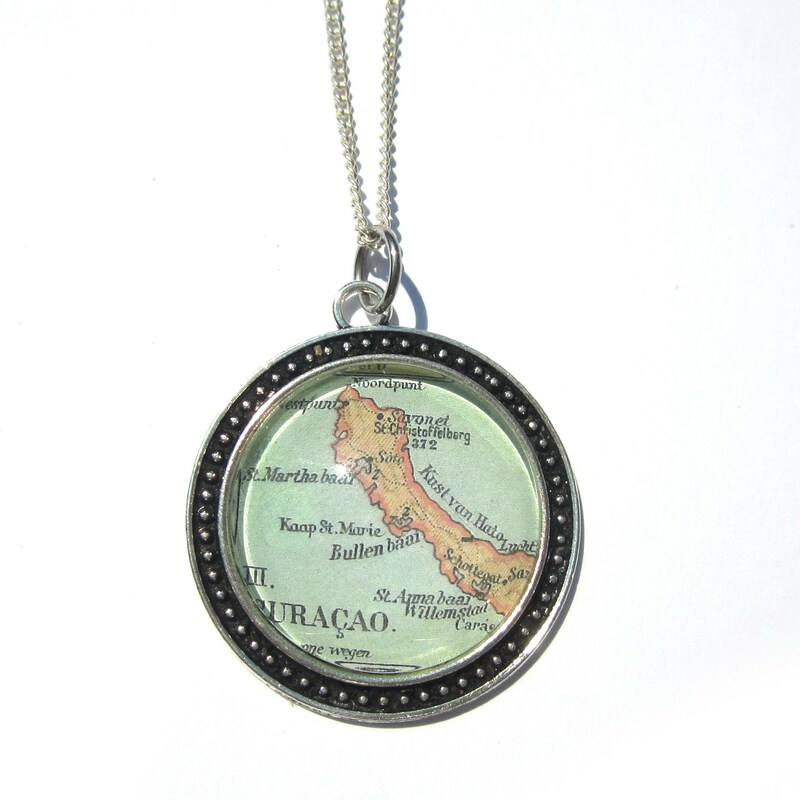 Please allow me 7 to 10 days from the day we receive your order to create your perfect map necklace. If you need your order sooner please contact us.